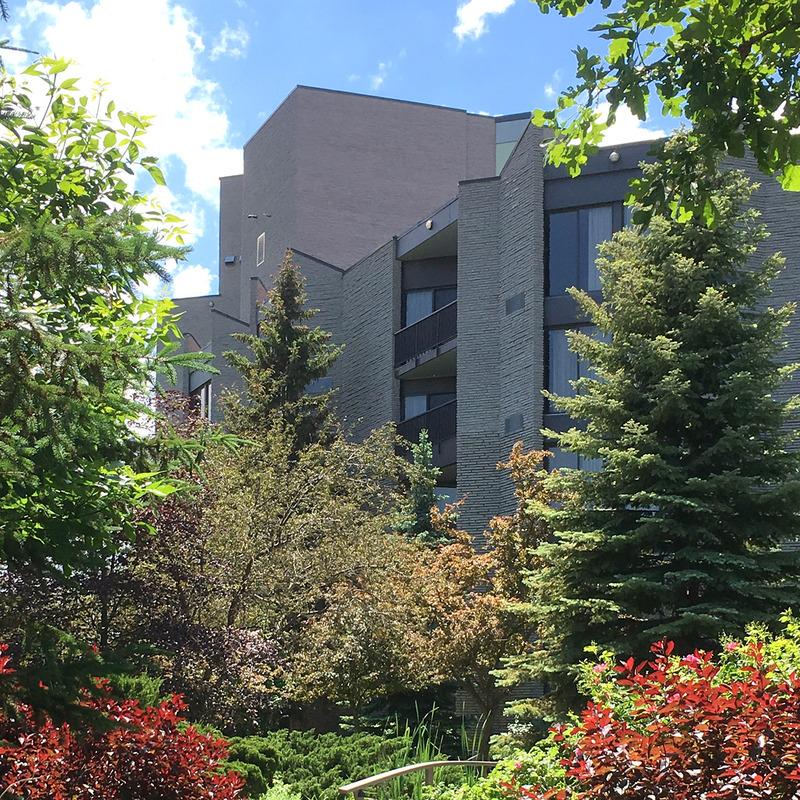 This guest blog comes from Chantal Suthons, who, as a marketing manager in wine country, is the one to call for a list of must-do’s in Niagara no matter the season. She has a passion for local wine, local dining, and local adventures! Her favourite wines – Riesling and Cabernet Franc, all the way! If your current plans for winter are hibernating in front of Netflix until the snow disappears, it’s time to rethink your sub-zero strategy. While there’s nothing wrong with spending a few cozy nights in, we know from witnessing the smiling, rosy-cheeked faces of winter visitors in Niagara’s Wine Country that the best way to beat the seasonal slump is to bundle up and embrace the chill. Here are our favourite ways to enjoy winter in Wine Country! Want in on the secret to making a -2°C day feel absolutely balmy? 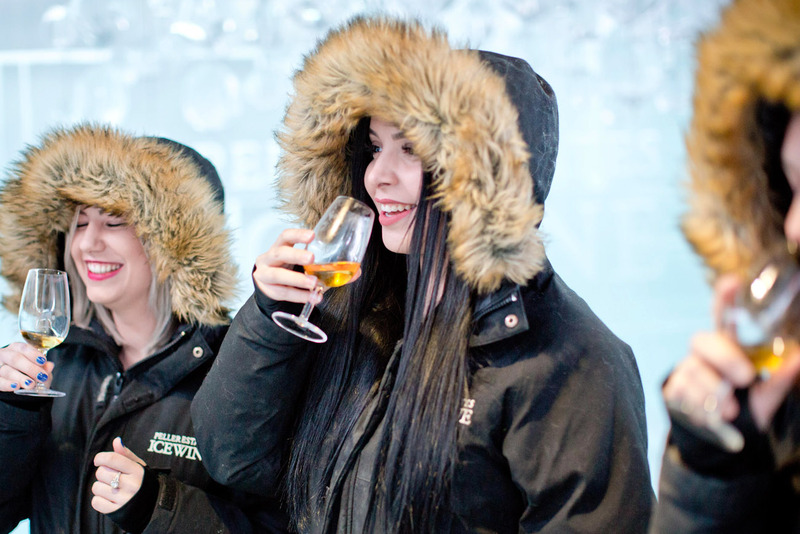 Spend some time in the 10Below Icewine Lounge at Peller Estates Winery. This igloo-like space is made of more than 13,000 kg of ice, and kept at a frigid -10°C year-round to allow visitors to get a true sense of the bone-chilling temperatures required for the annual Icewine harvest. After about 15 minutes in the lounge sipping Icewine at the bar carved from ice, and chilling on the ice lounge bench, the outside winter temperatures feel almost tropical! 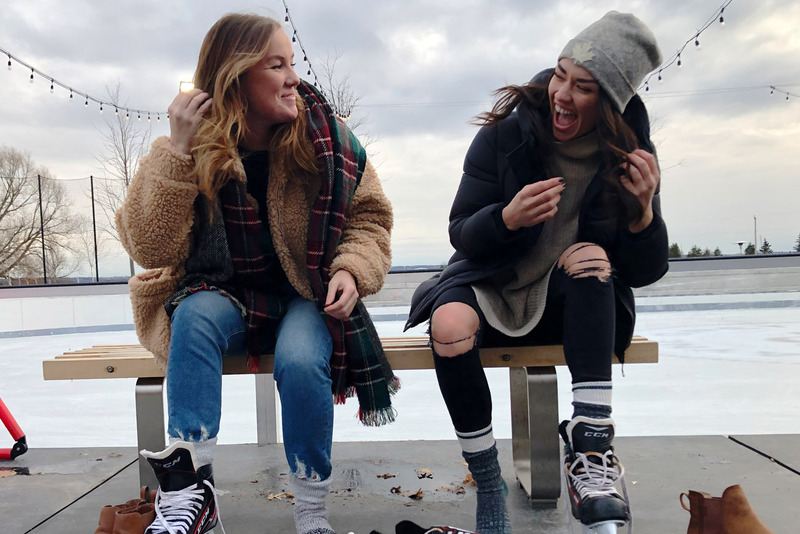 Whether you’re a pro (like Wayne Gretzky) or lacing up for the first time in 20 years, head down to Wayne Gretzky Estates Winery & Distillery to take a spin around the outdoor skating rink and enjoy one of Canada’s favourite winter activities in the fresh winter air. When you’re not on the rink, sip on a craft cocktail or glass of wine at The Whisky Bar outdoor patio, and savour the winter food menu on weekends (poutine, anyone?). The skating rink is open Wednesday to Sunday from 11:30 am to 6 pm, and until 9 pm on Saturdays. Don’t miss the Saturday Night DJ Parties from 5 pm – 9 pm every weekend until March 16! Skating is $5 per person and skate rentals are available for $10, plus taxes. Please note that the skating rink is weather dependent. No reservations required. >>Date Night Idea: Take your sweetheart for a spin around the rink, sip on a craft cocktail, and warm up next door at Trius Winery & Restaurant with a delicious farm-fresh dinner by Executive Chef Frank Dodd. 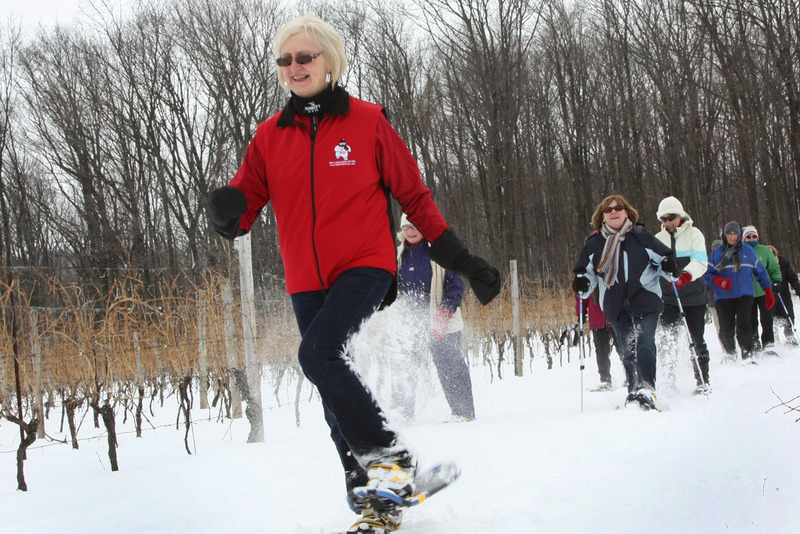 If there’s snow on the ground on Saturdays and Sundays until the end of February, head to Thirty Bench in Beamsville (only a 35-minute drive from White Oaks Resort & Spa) for a snowshoe trek through the vineyard. You’ll be outfitted with equipment and coached on snowshoeing tips and tricks by an expert guide as you make your way through the snow-covered vineyard. You’ll also be treated to an outdoor tasting of Thirty Bench wines and a warm fireside snack to wrap up the experience. If Mother Nature doesn’t bring us enough snow, enjoy a winter hike in the vineyard! This is an incredibly popular experience, so we recommend reservations well in advance either online or by calling our Wine Country Concierge at 1.888.673.5537. $40 per guest, plus taxes. You don’t have to venture far from White Oaks Resort to enjoy these activities! Located right across the street, the Outlet Collection at Niagara offers fabulous designer brands, so you can get ready for spring weather again. While you’re shopping, pop into the Wine Country Vintners boutique (located in the Eatery) to sample wines from a variety of wineries in Niagara from sparkling wine to Icewine. 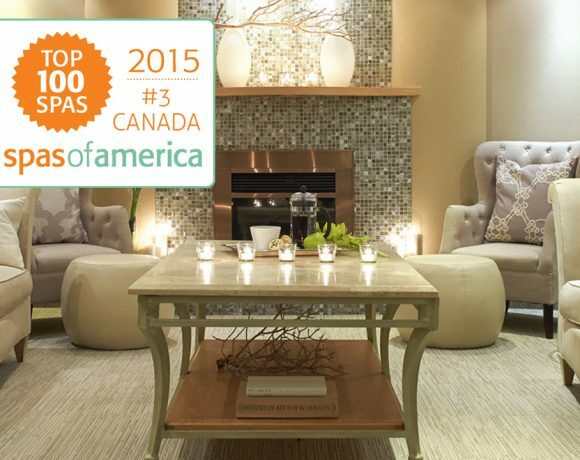 After a busy afternoon of sipping and shopping, treat yourself to an evening of relaxation at The Spa at White Oaks. 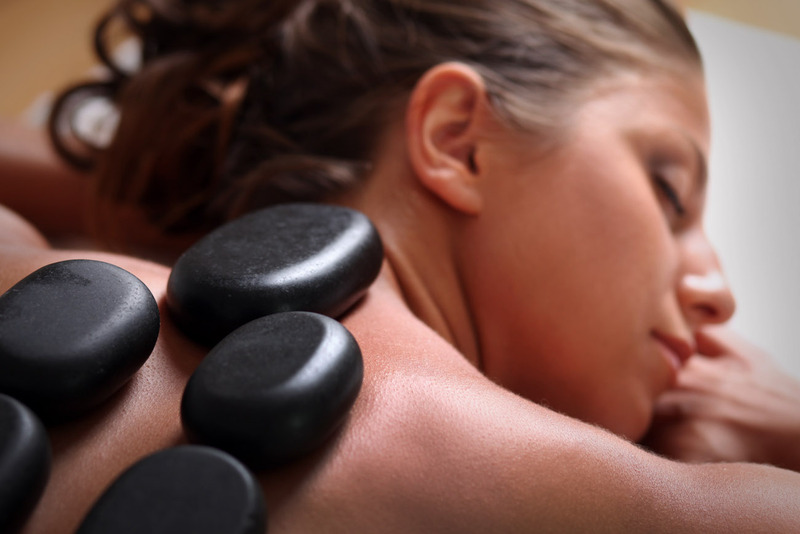 A hot stone massage or coconut beach body wrap will warm you back up and have you dreaming of summer days ahead. So until patio season returns, embrace the chill and the excitement of winter in Wine Country!